A very important part of doing business online is learning how to gather and analyze data. Data is important for any business owner because it helps guide decision making in a relevant way. Thankfully, there is a free service that you can use to get all the analytics you need for your website, it’s called Google Analytics. It’s free cloud-based software as a service that Google offers to you in order that you can learn about the behavior of visitors that come to your website so that you can improve your website for your audience, thus improving their search results. 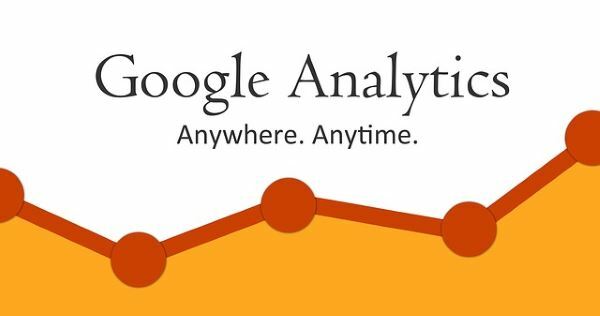 Anyone who wants to attract the right type of visitor to their websites and blogs should use Google Analytics. You really don’t have to be in business to make money to want to use the right information to get the most appropriate visitors to your website. Sessions (Site visits) – Shows the number of people who are coming to your website. Page views – Shows the number of pages that have been viewed. Bounce rates – A bounce is when someone comes to the site but leaves in a couple of seconds. Time on site – Average amount of time each person spends on your site. Pages per visit – Shows the number of pages that are looked at each time someone visits your page. % of new visitors – Shows how many of your total visitors are new. % of return visitors – Shows how many of your total visitors are returning people. Referral traffic – Shows where your traffic is coming from. Direct visits – Shows how many people are coming to your site by typing in the direct URL. Website referrals – Shows which websites are referring your visitors to your site. Pay per click campaigns – All the data you need to judge if your PPC is working or not. Banner ads – All the data you need to judge if your banner ads are working or not. E-mail marketing metrics – All the data you need, open rates, sharing, click through and so forth of your email marketing campaigns. And more…so much more that you can take advanced courses in Google Analytics. As you see, all of this information is important. For example, knowing your bounce rate can tell a story of what is working and not working. Let’s say you’re running an advertisement on Facebook and it’s getting a lot of clicks with people coming to your landing page. But, once people get to your landing page they bounce off at a high rate. Perhaps your landing page is not targeted to the same audience as your advertisement which seems to be working. Maybe your landing page is loading too slowly or is not working somehow. Test these two ideas out before trying something else. But, only change one thing at a time. For example, if you suspect your landing page is not targeted to the same audience that your Facebook ad is, then work on improving the landing page. If you KNOW your page is too slow, fix that first. These small tweaks that the data allow you to make due to the knowledge you get can make all the difference to a winning campaign or a losing campaign. I am an Internet marketing professional with several years of sharing tips and my expertise on how to create or improve your visibility on the web. You can learn more about me here...[Johnny Rogers].